As you already know, Firefox has almost adopted a rolling release cycle. A couple of months ago, Firefox 4 was new for us and they have just released Firefox 6, and guess what, they are already in the alpha developments stages for both Firefox 7 and 8. If you already installed Firefox 5 through this PPA, you will face issues when you upgrade. This is because, similar to the upgrade to Firefox 5 (see here), the package "xul-ext-ubufox" cannot not be installed, since, just as in the previous case, there is a conflict between this package and the package "ubufox". As a permanent solution, you can extract the Firefox files into the '/opt' directory and create a symbolic link which would let you run Firefox from the existing launchers as well. 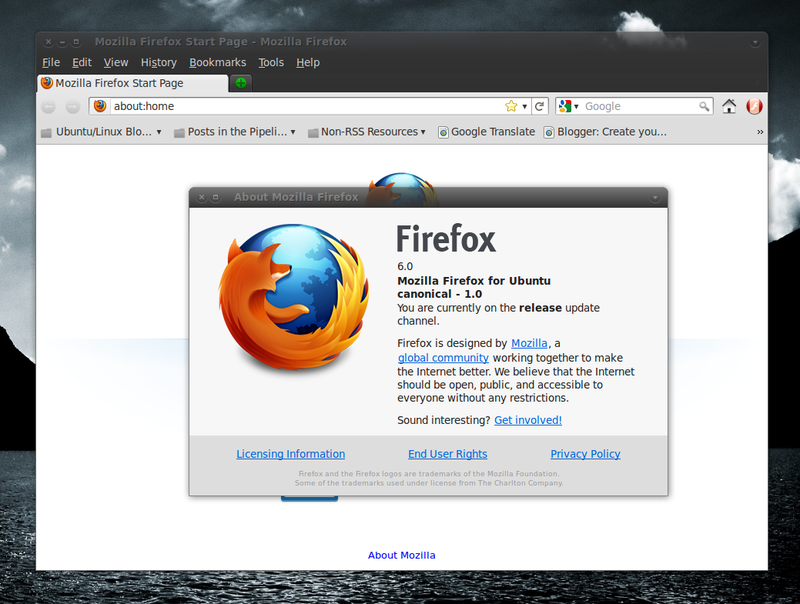 Now you can run Firefox from the existing launchers as well.